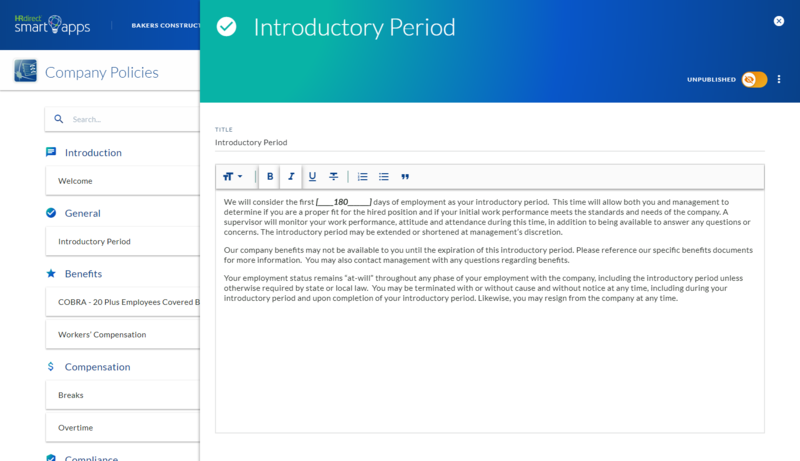 Getting your company’s policies down in writing then in front of employees makes setting expectations easier, but creating an employee handbook can be very time‑consuming. 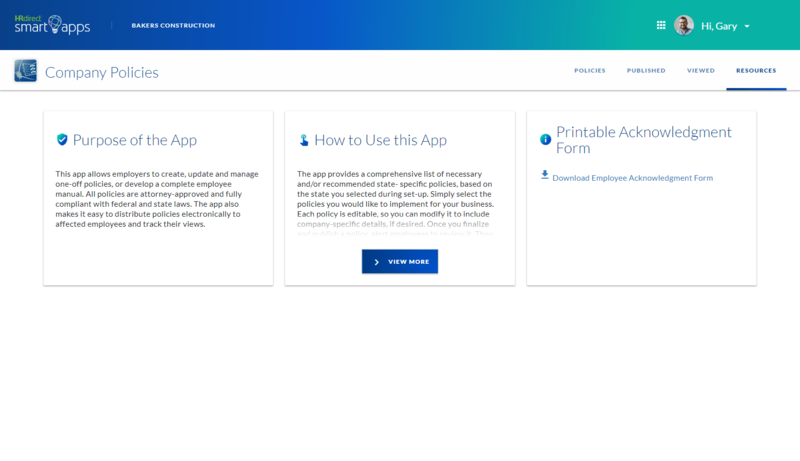 The Company Policies Smart App helps your business create, manage and share attorney-approved employment policies in minutes. Effortlessly maintain the right tone at your company while improving accountability. Based on your state selection, we’ll provide you with a library of federal and state‑specific policies pre-written by our HR and legal compliance experts. Choose and customize the policies that apply to your business. 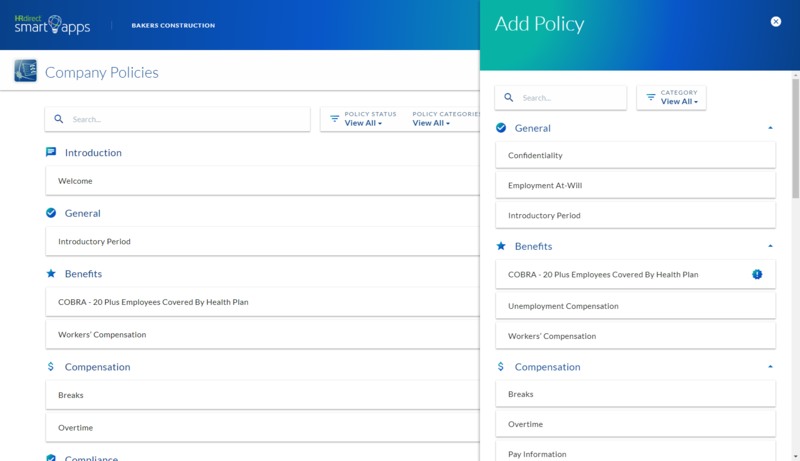 After you’ve finalized your policies, you can notify employees to view them online — or print them out to distribute. 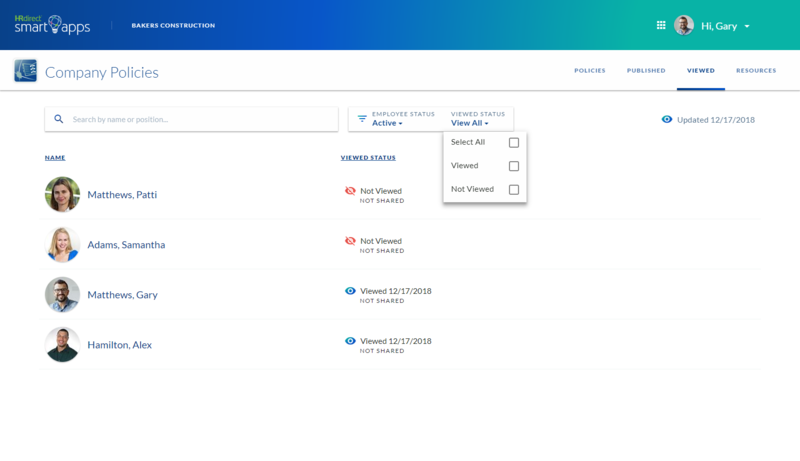 You have the flexibility to add new policies or update a policy at any time. 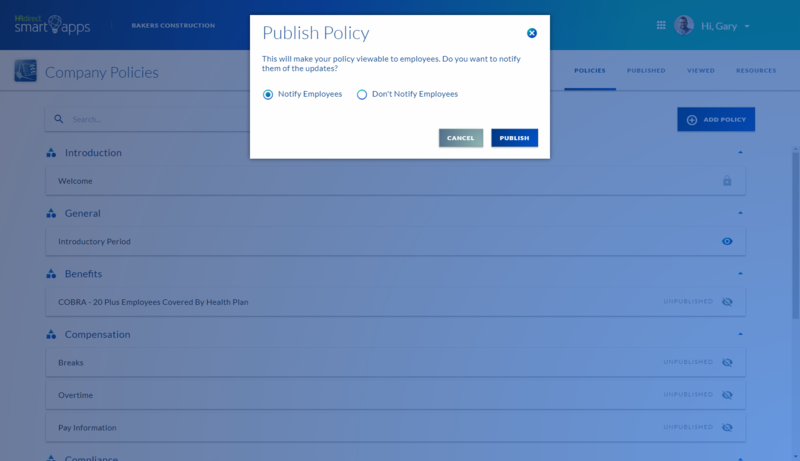 Whenever you update and distribute your company policies, you can view if they were shared with an employee and track when the employee viewed them. 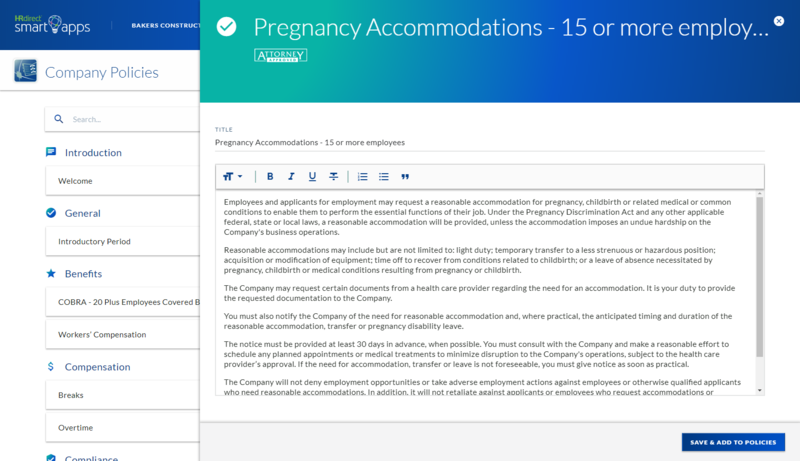 This helps you check that all employees have received the most up‑to‑date versions of your company’s policies. When new issues surface, they may need to be addressed on the spot and through updates to your policies. Our HR experts monitor and add new policies as they become available. You’ll enjoy peace of mind through automated tracking. 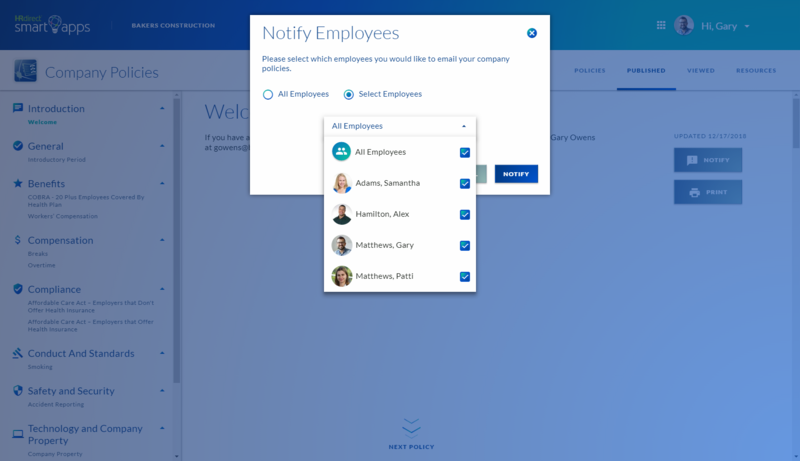 At a glance, see when and which employees last viewed your policies. If you notice that your employees haven’t reviewed them, it’s easy to send another email to hold them accountable. Online policies are easier to use than paper copies because you can issue a policy reminder to an individual employee just by sending them an email to review the policy online. Have employees without Internet access? You can quickly print copies to hand out, as well. 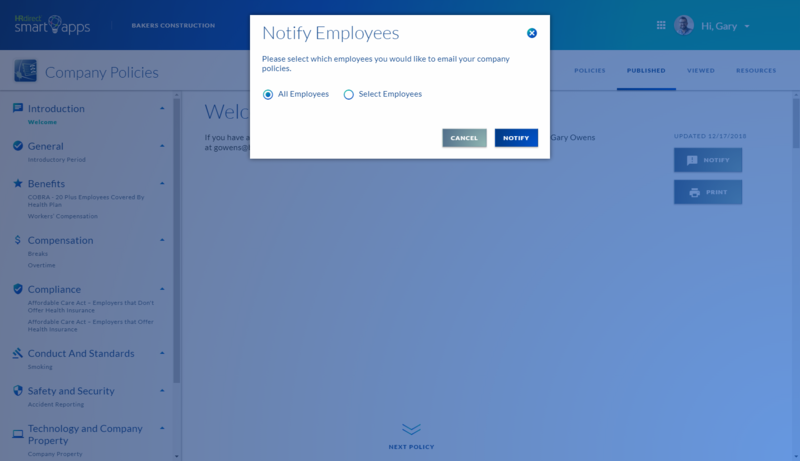 Ready to Get Started with the Company Policies Smart App?